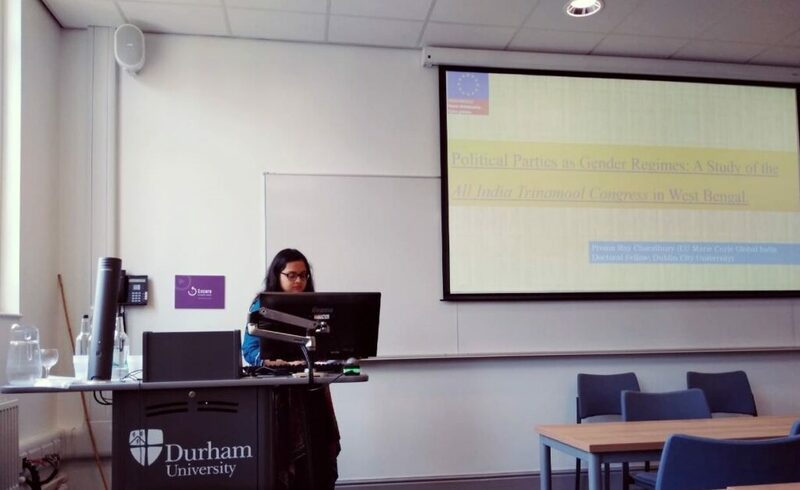 Global India fellow Proma Ray Chaudhury has presented a paper titled: Political Parties as Gender Regimes: A Study of the All India Trinamool Congress (AITC) in West Bengal at the British Association for South Asian Studies (BASAS) Annual Conference, (3-5 April 2019) held at Durham University, United Kingdom. Her paper explored the gendered institutional culture and the representation of women in the AITC through interpretive readings of policy and party documents. The session was chaired by Patricia Jeffrey of the University of Edinburgh.